A PhD biologist and science writer. He also hosts PBS's "It's Okay to be Smart" PBS series. In this blog, he examines all aspects of life through a scientific lens. The gold standard in scientific news and education. Compiles over 60 science bloggers. It covers a huge variety of scientific issues from different, brillaint perspectives. Official blog of the institute of physics; don't expect any frills here, just a discussion of physics from a very professional perspective. Redditors share scientific stories, the latest research, and to discuss it all. A new paper outlines a method to directly detect particles from the 'dark world' using the Large Hadron Collider by exploiting a potential particle’s slightly slower speed. The universe seems to be expanding faster than all expectations: New evidence deepens a mystery around the Hubble constant, one of the most important numbers in cosmology. Dark Matter Detector Observes Rarest Event Ever Recorded | Researchers announce that they have observed the radioactive decay of xenon-124, which has a half-life of 18 sextillion years. 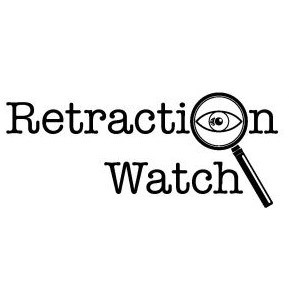 Publishes news of scientific journal retractions. The goal is to keep scientific journalists improving. Run by a neuroscientist and a cognitive scientist, and they definitely have fun in this blog about the mind. Carl ZImmer, contributer to New York Times and National Geographic runs this blog, which covers a variety of scientific issues. Offers regular updates on scientific research. Besides traditional scientific topics, they also have a fun "quirks" page that looks at the quirkier science news. It Began as a project among many scientists to write stories. Their work covers both sciecne and the art of science writing. An interview with Helen about drawing! Run by Raychelle Burks, Thirty Seven examines crime, chemistry, and culture. I created the DIY Science Zone™ in 2013. Where is the #DIYscizone going next? Cracked chemical mysteries for #NationalChemistryWeek! Have I got a #chemistry story for you! Brings together staff writers and independent writers to cover a diverse array of science issues. Keeps you up to date on the latest science news. Brings you news and features on all things science.